Year two of the drawdown is underway. While competition will remain stiff, there is good news for Marines who plan on fighting for a career in the Corps. Marine Corps Times recently sat down with the service’s top enlisted manpower planners and learned that voluntary force shaping measures like Temporary Early Retirement Authority and Voluntary Separation Pay are taking hold. With thousands of Marines leaving the service each year on their own terms — sometimes with tens of thousands of dollars of cash — promotion backlogs that have made moving up a frustrating, sometimes-impossible prospect for many Marines are beginning to clear. The tone was cautious optimism, with planners saying conditions will remain austere for several years to come. But the use of several force-shaping measures is keeping things from grinding to a standstill. Some fields with zero allocations for promotion last year, for example, are now expected to have healthier promotion opportunities. For a promotion outlook on every rank, plus a sitrep on cash incentives to leave uniform and early retirement programs, check out this week’s Marine Corps Times on newsstands now. 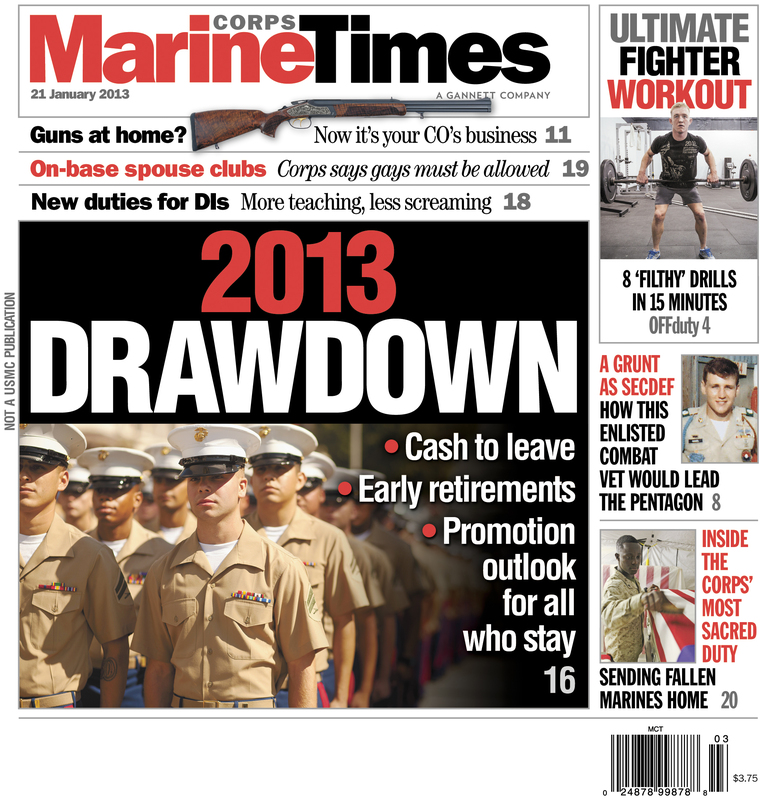 Or read the full story on the drawdown on Marine Corps Times PRIME here.